You've found the smartest way to book Cancun vacations. Click a price below to see our unique vacation grid. It's very fast and has a calendar format for easy comparison. Our agents have been to most resorts - call us and we'll help you decide which hotel is right for you. 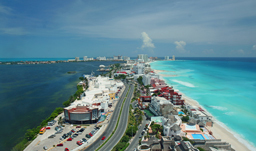 Known for its outstanding white sand beaches, Cancun is a beloved sun destination among travellers. It’s a lively choice, making it perfect for couples and singles, as well as families. 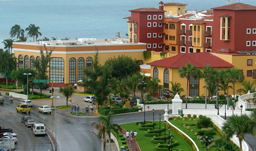 The Cancun strip features hotels, bars, shops, and nightclubs. 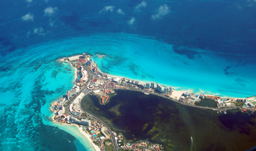 There’s no shortage of relaxing beaches, cultural sites, and exciting activities on a Cancun vacation. 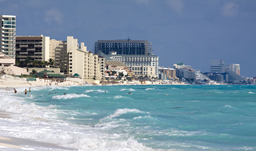 Many people visit Cancun for their all-inclusive resorts. Bask under the sun and take advantage of the amenities such as swimming pools, restaurants, spas, fitness centers, and relaxing areas. 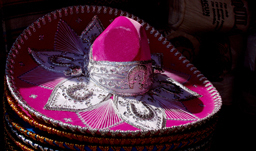 Mexico’s tropical weather and stunning natural surroundings make it just the place to unwind and rejuvenate. If you’d like to stay active, there are many activities to partake in. Scuba dive, snorkel, or enjoy other water sports. On land, have fun playing volleyball, basketball, or soccer. 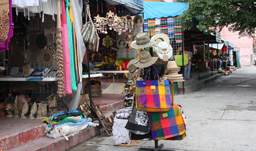 You may even take excursions to fish, visit eco-parks, or sightsee archeological sites in the Mayan coast or Cozumel. In the evenings, enjoy romantic sunsets, live entertainment, and walks on the beach in paradise. 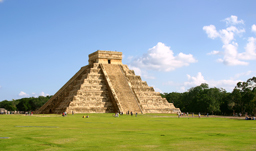 From the Airport: Arrive at Aeropuerto International de Cancun (CUN) and board the shuttle bus to your resort. While you’re there, you may use the reliable bus system to explore nearby cities. 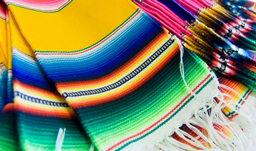 Our travel agents can help you find flights to Cancun. 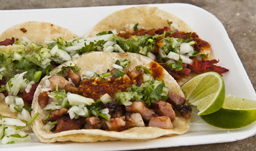 Where to Stay: There are hotels in Cancun to suit different budgets and preferences. From the family-oriented Paradisus Cancun to the adult-only Sun Palace Hotel, there are many amazing places to choose from. Weather: Average high temperatures in Cancun are 30C while average lows are around 23C. The rainy season runs from May to October. Start your Cancun vacation by booking today and look forward to a trip filled with sun, natural beauty, and relaxation!